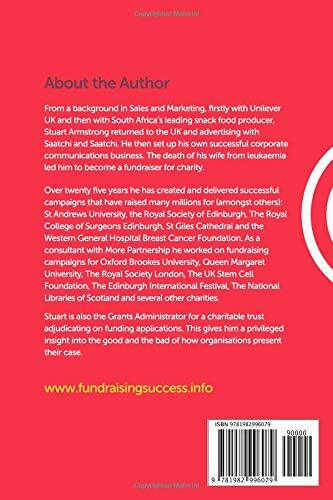 Stuart Armstrong’s book is based on 25 years experience of fundraising, distilled into 86 pages which should take no more than an hour to read. 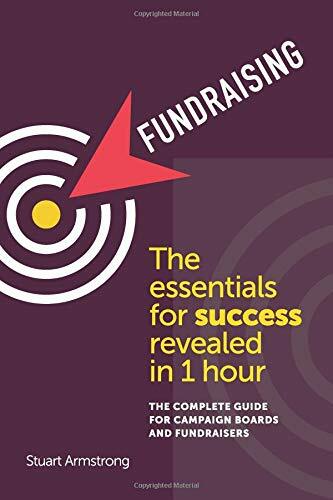 While most fundraising books are written for practising fundraisers, this guide is written for all the other people within a charity who need to know about fundraising but are not fundraisers. In other words, campaign chairs, board members, trustees and senior executives.